Scientists have discovered an enormous void under an Antarctic glacier, sparking concern that the ice sheet is melting faster than anyone had realized — and spotlighting the dire threat posed by rising seas to coastal cities around the world, including New York City and Miami. The cavity under Thwaites Glacier in West Antarctica is about six miles long and 1,000 feet deep — representing the loss of 14 billion tons of ice. It was discovered after an analysis of data collected by Italian and German satellites, as well as NASA's Operation IceBridge, a program in which aircraft equipped with ice-penetrating radar fly over polar regions to study the terrain. The discovery is described in a paper published Jan. 30 in the journal Science Advances. The researchers expected to see significant loss of ice, but the scale of the void came as a shock. "The size of the cavity is surprising, and as it melts, it's causing the glacier to retreat," said Pietro Milillo, a radar scientist at NASA's Jet Propulsion Laboratory in Pasadena, California, and the paper's lead author. He said the ice shelf encompassing the Florida-sized glacier is retreating at a rate in excess of 650 feet per year, and that most of the melting that led to the void occurred during the past three years. 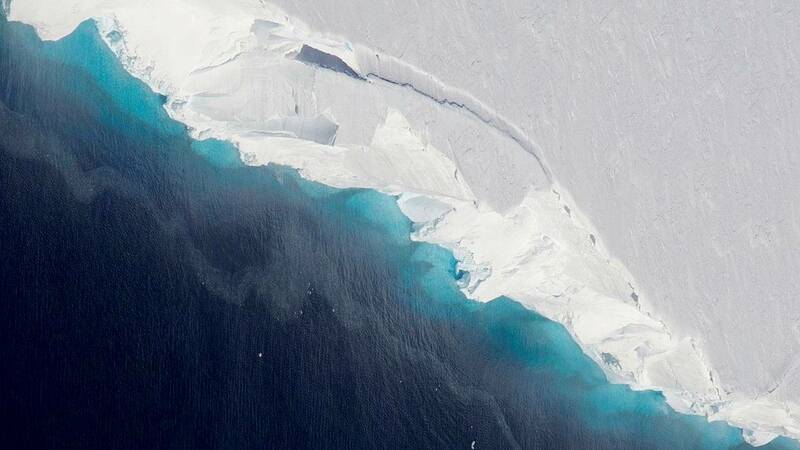 Previous research showed that meltwater from Thwaites accounts for about 4 percent of the global sea level rise, said Ted Scambos, a senior research scientist at the National Snow and Ice Data Center in Boulder, Colorado, who was not involved with the new study. If the loss of ice becomes so severe that the glacier collapses — something computer models predict could happen in 50 to 100 years — sea levels would rise by two feet. That's enough to inundate coastal cities across the globe. "It's completely plausible," Scambos said, adding that "Thwaites has a really perfect storm going for it" — a reference to the fact that parts of the glacier lie below sea level and are thus especially vulnerable to melting by seawater. The discovery of the void comes as Scambos and other American and British scientists are gearing up for a major new research initiative. The five-year International Thwaites Glacier Collaboration will use robots and ocean weather stations, as well as more than a dozen seals fitted with sensors designed to collect data about glacial ice and the surrounding water. "This paper really helps put a bull's-eye on some of the places we want to study," Scambos said.